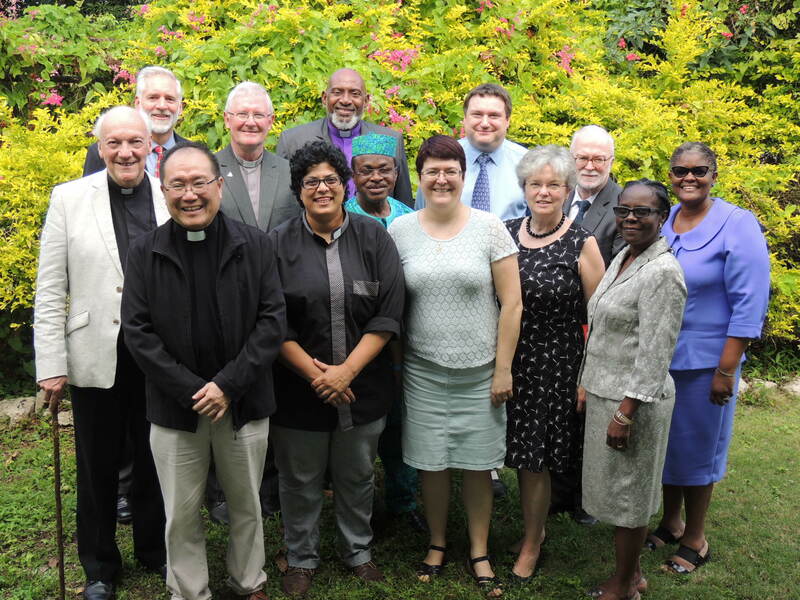 Members of the Baptist World Alliance and the World Methodist Council met February 1 to 8 at Runaway Bay Jamaica. The meeting was the fourth round of conversations of the international dialogue between Baptists and Methodists. The overall theme of the dialogue is faith working through love. The theme of the conversations this time centered on “Grace and faith : sung and preached, lived and shared”. Participants discussed a range of papers on the works of piety and mercy, in worship and preaching, including hymnody, and in the outworking of faith in practice among Methodists and Baptists in Africa, Asia, Australasia, Europe, the Americas, and the Caribbean. The dialogue members participated in Sunday worship at Hoolebury Methodist Church in the St. Ann`s Bay Circuit of the Jamaica District. They were joined for the service and lunch by Bishop Everard Galbraith of the Methodist Church in the Caribbean and Americas. The Rev. Dr. Oral Thomas of the United Theological College (UTC) in Kingston preached the sermon on Matthew 5:20, drawing on the theme of holy hands and helping hands in joining together worship and service. 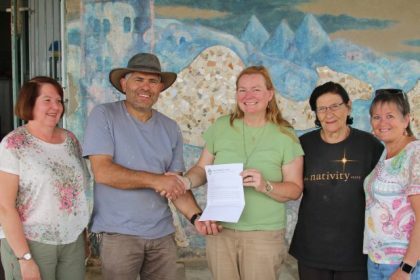 Earlier in the week the group traveled to Kingston to visit the denominational offices of the Jamaica Baptist Union (JBU) and Jamaica Methodist District and shared lunch at Saxthorpe Methodist Church. They then visited the UTC on the campus of the University of the West Indies at Mona before calling at the Bob Marley Museum and having dinner hosted by the General Secretary of the JBU, the Rev. Karl B. Johnson. As well as considering the ten papers submitted for discussion, work on the compiling of the final report began and the tasks set to prepare for the concluding meeting scheduled for Sarum College, Salisbury, in the U.K. 14-21 March 2018. The BWA delegation comprises dialogue Co-chair Curtis Freeman, research professor of theology and director of the Baptist House of Studies at Duke University Divinity School in the United States; Deji Isaac Ayegboyin, professor of Church History and African Christianity and at the Department of Religious Studies, University of Ibadan in Nigeria; Valérie Duval-Poujol, professor of Biblical Exegesis at the Catholic Institute of Paris, supervisor of the revision of the French Bible Francais Courant for the French Bible society. Timothy George, dean of Beeson Divinity School of Samford University, Birmingham, Alabama; Stephen Holmes, Head of School and senior lecturer in theology at the University of St. Andrews in Scotland; R. L. Hnuni, principal of Calcutta Bible Seminary in Kolkata, India (who was unable to be present), and Trisha Miller Manarin, Baptist World Alliance Co-ordinator for the Division on Mission, Evangelism, and Justice, who served as the BWA staff liaison. Methodist representatives are dialogue Co-chair Tim Macquiban, Chair of the Ecumenical Relationships Committee of the World Methodist Council and Director of the Methodist Ecumenical Office Rome; co-secretary Paul W. Chilcote, professor of historical theology and Wesleyan Studies at Ashland Theological Seminary in the U.S. (who was unable to be present); Robert Gribben, former Chair of the Ecumenical Relationships Committee of the World Methodist Council and emeritus professor of the Uniting Church Faculty of Theology, Melbourne, Australia; Christine Gooden-Benguche, secretary, Jamaica District Conference, superintendent of the Western St. Andrew Circuit, in MCCA (Methodist Church in the Caribbean and the Americas); Lauren Claire Matthew, Methodist minister in the Durban South Circuit of the Methodist Church in Southern Africa; Ulrike Schuler, professor for Church History, Methodism, and Ecumenism at the Reutlingen School of Theology in Germany; and Malcolm Tan, pastor, Covenant Community Methodist Church in Singapore, and Training Consultant, Methodist Missions Society Singapore.